Dont you hate it when the bottom part of your feet shows horrible cracks and scaly dry skin? I know i do, and i find it embarrassing when visiting a friend or a family members house, as in Malaysia, its a tradition to remove your shoes once you enter the house. These crack marks are usually due to excessive feet activity, like prolonged standing at work or home. And if your floors at home are hard, these are also the main causes of thick dry skin at the bottom of your feet. Being very active in my daily routines of being all around Klang Valley, i was introduced to Scholls latest Velvet Smooth Express Pedi Electronic Foot File, and this may be the answer to my, and your problems! The first time i heard about this was in 2014, but i've been hearing about how good it is, so might as well give it a go. 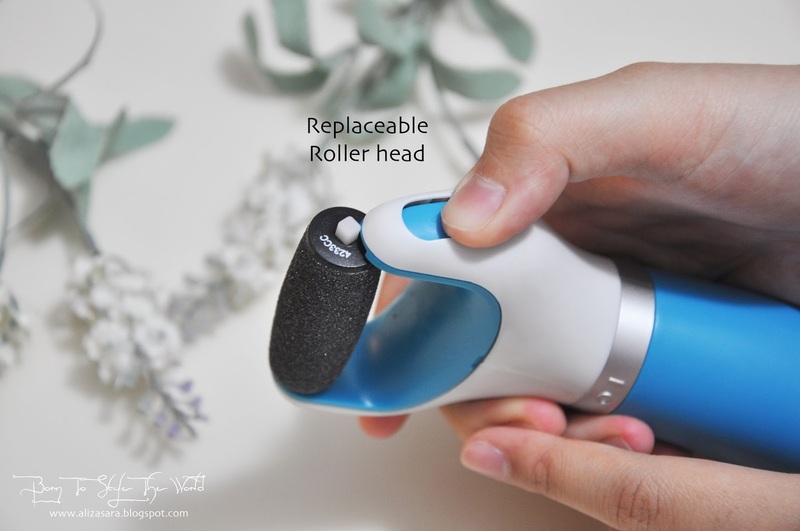 I also heard that the Roller Head is Replaceable too. SWEET! It retails at RM135.20 at stores, which includes an Electronic Foot File, One roller Head, 4 AA batteries and 1 Cover. I love how the size of it is very easy to bring around, especially when youre travelling.The pack also says that you will instantly achieve beautifully smooth skin after 1 use, but of course, theres only one way to find out, review time! 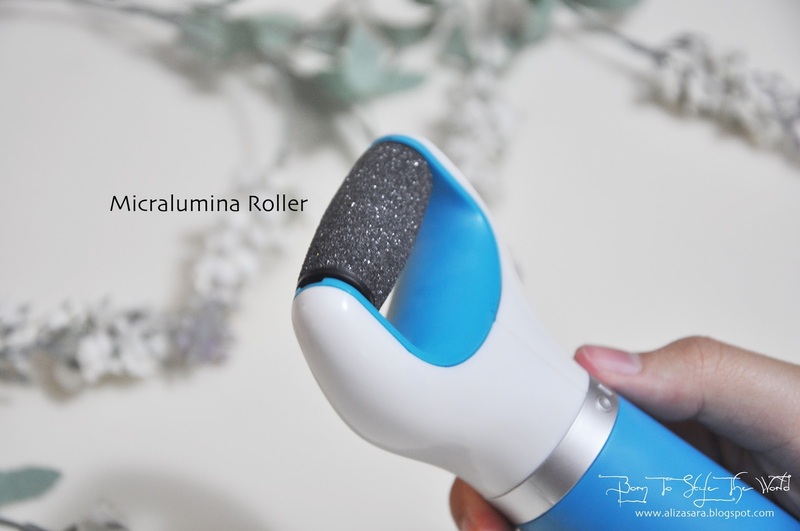 I guess the highlight of the product would be the grey part, which is the Micralumina Roller that can be changed when needed. I love how when im holding it, its has this ergonomically shaped soft touch handles for it to be easy to hold, allowing easy movement to remove the hard skin layer from the bottom of your feet. So yes, DIY is possible! Now, i love how that its easy to turn it on, and basically all you need to do is to turn the silver strip anti-clockwise and automatically, you will see the roller head turning. It does produce a sound, but its not too intimidating as the device has a sensor that will detect it to stop if theres too much pressure applied on the device. Neat trick huh? What i did before using it was that i made sure that my feet were clean, and dry, which then i proceeded to the removal of the hard skin. 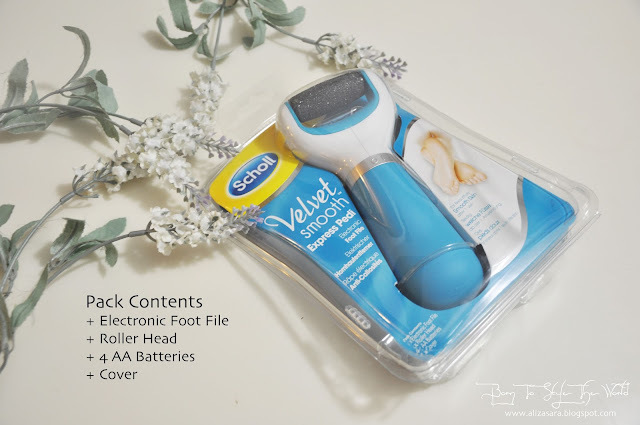 By simply placing the Velvet Smooth express Pedi Electric Foot File on your feet, it will be doing all the work by removing the hard skin. In my case, i moved it in a downwards motion as its easier to control it that way. From the before and after photo, i think you can see that the hard and cracked skin has been removed in just one use. Incredible! And if you think its hurts, it doesnt. It got me really fascinated to know that it was really easy to remove the hard skin from my heel. Its such an achievement for me to be able to remove the hard skin off without going to a pedicure salon to get it done for me too. So much win! 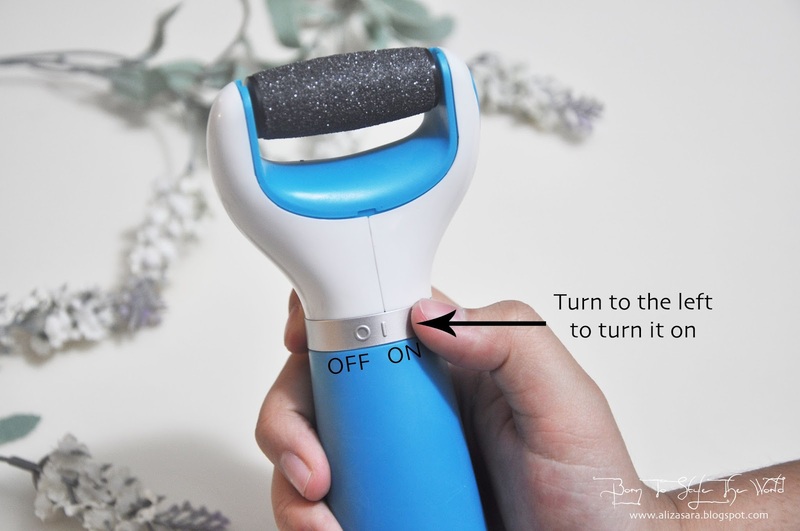 Since it practically shaves the hard skin off your feet, i would suggest you to either do it in the bathroom, or somewhere with not much wind as the callouses that come's off will be flying around to make a mess, so we wouldnt want that, do we? + Saves petrol, parking and time. GOODNEWS! 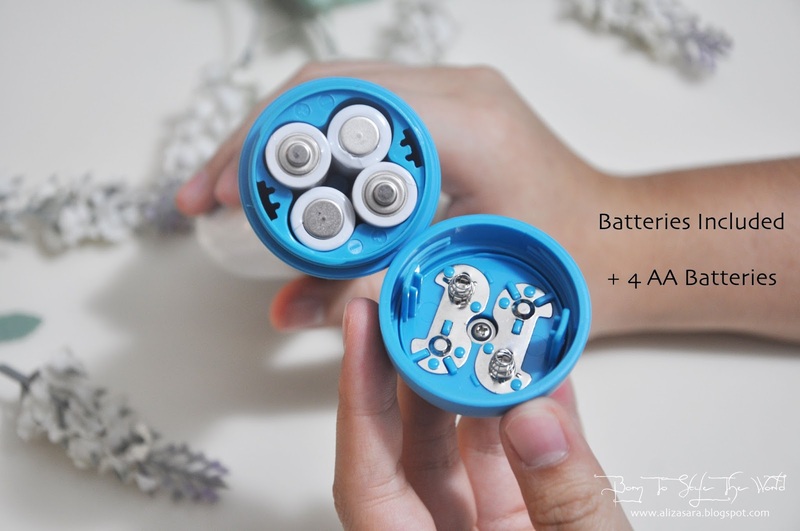 If you would like to have one for yourself, it retails at RM135.20, but to my special readers, you get an additional 5% off when you purchase it from http://bit.ly/schollmy by using this promo code: SCHSOU. Be fast because this code will only be valid until 31st October 2015. Wah... I also need this.. Love the effect! Very useful and cheap tool to use to file modeling joints in model kits. LOL. Well, that's what I used it for lo. wow this look like amazing product. Hope to get one soon. I would recommend using this after an application of foot mask. Now, that would make it even more effective in maintaining the skin of the soles. This is an IN thing now. All my friends are getting it. I have a unit and going to try this soon. hey i saw this in stores before it looked like a normal foot filer, i had no idea it was actually electronic!